Like we always say to everyone we are here to support you through every step of your journey. But it’s also very important to have support from the people around you whether at home or when you’re training. You can check out what some of them have to say. After major spinal surgery last year, I found myself in a slump and gained almost 8 kilos. I had slipped into a pattern of over eating and not being motivated because it was easy and comforting. When all my clothes stopped fitting, I knew something had to change. Having trained with Miguel in his TRX Group classes before- it was an easy phone call to make. From the onset, Miguel established what my goals were and how I was going to achieve them. The initial few weeks were the hardest but in 6 months, not only have I lost almost 12 kilos, but I have completely changed my body shape. I feel fitter and stronger than ever before. Miguel's classes are hard work- but they are also fun and inspiring. By training 3 times a week and modifying what and how much I eat, it's been amazing to see what I'm actually capable of and how much better I can do. It's always flattering when people notice the change and ask "what have you done? The changes to my lifestyle have been minimal- but the results have been huge. 6 Months ago I would never have believed that a little hard work with training 3 times a week and modified eating I would lose 10 kilos! My husband and I thank you! My body has changed shape! I am no longer embarrassed about my body! I have not felt so good in 20 years!! Thanks to you and Laura for our weekly laughs and hard work! Life is so much better now!!! Signing up with Miguel 9 months ago was one of the best decisions of my life. Not only have I lost over 10 kilos with him I have been able to change my mindset of what it is to be healthy. Miguel's passion and knowledge for healthy living really has been the driving force of motivation for me and has taught me so much. No other program has ever provided the support and commitment I have found at TRX Group Training, not only by Miguel but by our little TRX community. I can not recommend TRX Group Training enough for anyone looking to change their body and mindset. Training with Miguel has made a distant dream of mine realistic. He's made me believe what was once impossible can be achieved with discipline and practice. Thank you for your efforts and look forward to continuing the journey with you. 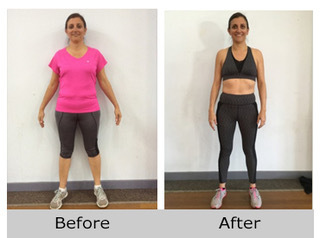 50+, and, never having stepped into a gym or done any form of exercise worthy of mention, I was really apprehensive when my wife persuaded me to join TRX Group Training. 3 1/2 years on, and I couldn't be happier with my decision. 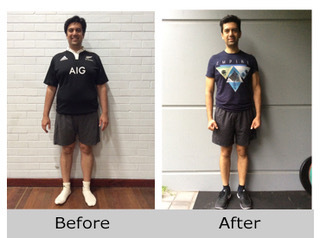 Miguel has been a patient trainer and has motivated and encouraged me to achieve what I never thought was possible. I have never been as fit as I am today. Miguel knows exactly how to structure your training and how to help you achieve your goals. Thank you Miguel for your role in this transformation and making the journey enjoyable.